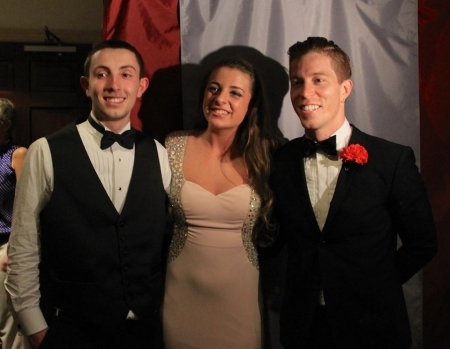 About a month ago, Carly Monzo, a senior at all-girls Mount Saint Joseph Academy in Flourtown, created a video asking Shaun White to her senior prom. Carly used her Hero 2 GoPro camera to film the entire video and included music from White's band Bad Things. GoPro happens to be a sponsor of the two-time Olympic gold medalist and action sports star. The video titled "GoProM?" has 8900 views in the past month. UPDATE: The video has jumped to 153,000 after the weekend! Looking to Watch the Canonization on TV? 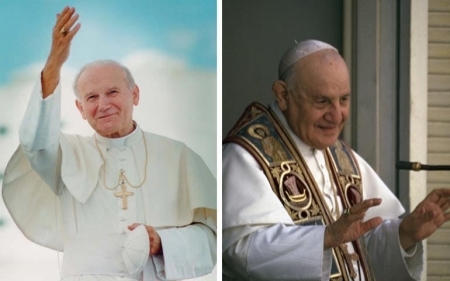 The Holy Mass and Canonizations of Blessed Pope John XXIII and Blessed Pope John Paul II will be broadcast Live on EWTN at 3:30AM Sun 4/27. In case you miss it, EWTN will replay it at 7pm. They will also rebroadcast the mass on Monday, 04/28 11:00 PM and Tuesday, 04/29 12:00 AM. All times are EST. The initial lineup for the 53rd Annual Philadelphia Folk Festival was announced on Friday afternoon. The festival will be held August 15-17, 2014. There will be more artists added but here is what has been released so far. iradiophilly will be back again broadcasting live from the main stage every day.